Outdoor living fabulously designer and master outdoor kitchen builder shares insight to help home owners, pool builders, and home builders. 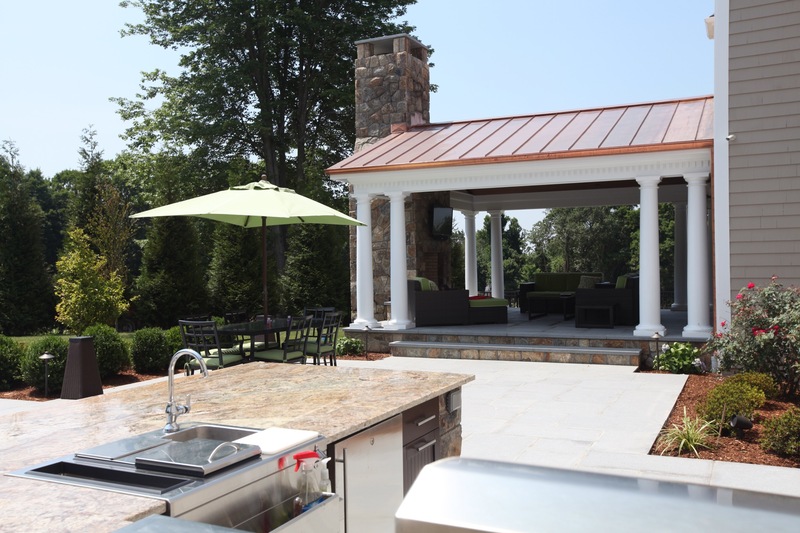 Designing and building an outdoor kitchen are entirely different in constructing in both concept and reality. The media does a phenomenal job inspiring homeowners to go ahead and celebrate living beyond the walls of your home outdoors. MIchael Gotowala masterful outdoor kitchen designer and founder of The Outdoor Kitchen Design Store by Preferred Properties. However, it takes a true outdoor living professional to be able to interpret the intent of the design and illustrate the location of such on site. 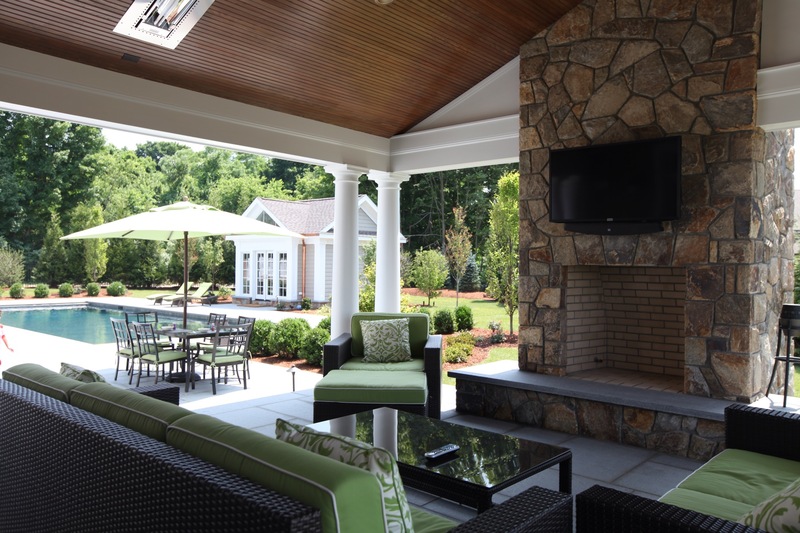 In so doing the onsite layout, the outdoor living designer helps the interested parties prioritize the scale and functionality of the desired plan. Many times I meet the homeowners first to validate the outdoor kitchen design and explain the intent of the outdoor kitchen design. Design tools to allow one to design and model their desired outdoor kitchen layout. multi level with top shelf designs. All this and everything more in between. 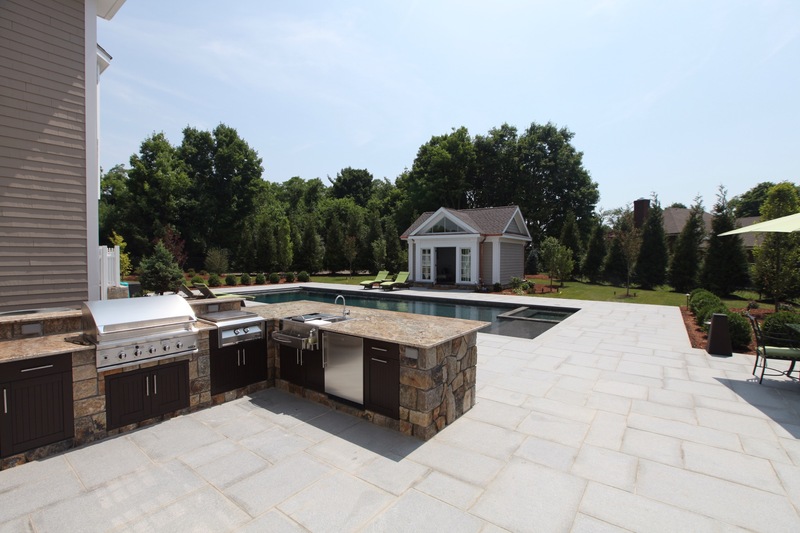 Now that the best suited outdoor kitchen design is awarded it takes an additional set of expertise one inherit with an outdoor kitchen design builder to fit this most desirable piece of the puzzle correctly onsite. Most importantly so that it can be built as envisioned. You see with computerized tools when one feels the outdoor kitchen layout doesn’t seem just right you can right click and delete. Or even more right click and add to the outdoor kitchen island. The professional outdoor kitchen builder will have the insight and experience to launch the project from there. 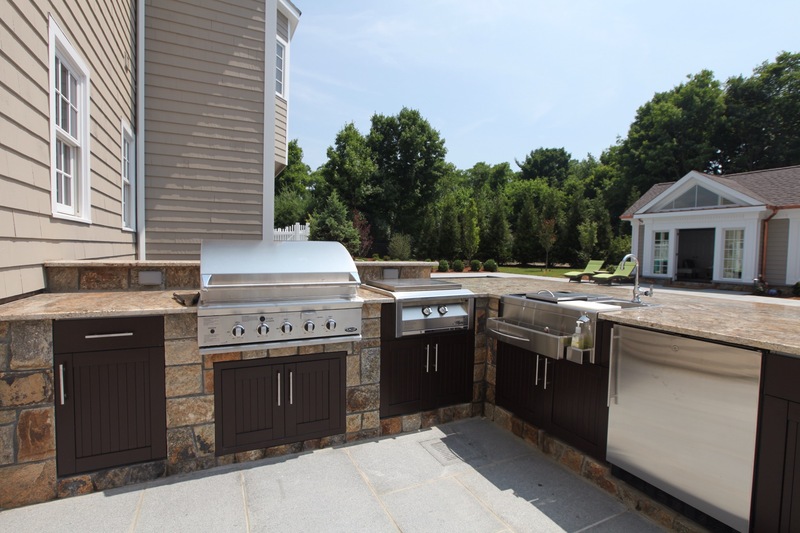 The outdoor kitchen professional has to have experience well enough to incorporate their work with the ongoing construction of the rest of the project whether it is a pool, outdoor living featured home addition, covered outdoor area, or simply patio and masonry. 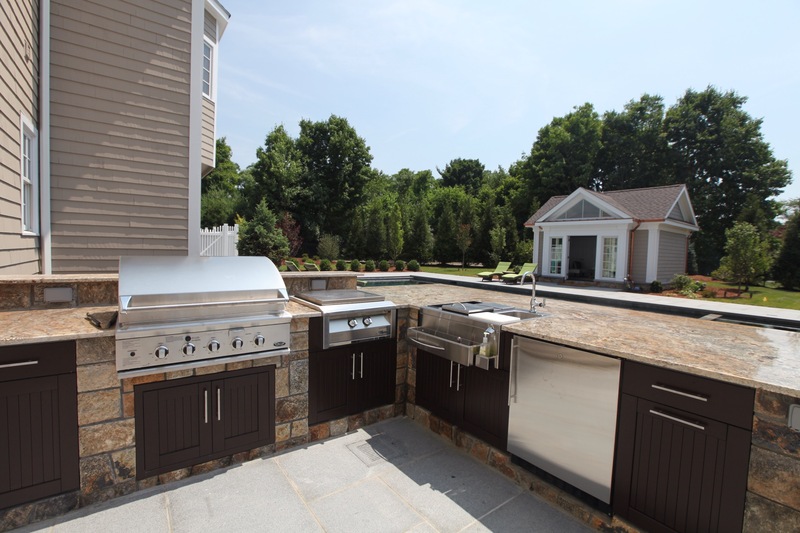 That’s why choosing your outdoor kitchen Designer as carefully as you would your grill. The difference in outdoor living and living outdoors fabulously is in the DESIGN. WHEN YOUR DESIGN LOOKS FABULOUS IT FEELS FABULOUS TO ENTERTAIN WITH TOO. Please visit our Facebook.com/THEOUTDOORKITCHENDESIGNSTORE TO VOTE on your favorite outdoor kitchen. The secret to success for this kind of outdoor living fabulously design is inherit with the designer’s ability to understand the family’s lifestyle behavior indoors and portray some of that trendiness outdoors. By using this type of approach the designer has the ability to personalize the outdoor space to exactness of use and lifestyle for each and every family member. . Preferred Properties outdoor living designer excels in making the outdoor setting inviting by adding detail in design with some of the colors of the indoor decor while we introduce comfy outdoor furniture sling with throw pillows with a little bit more bolder colors. This and other fine details make for a much more comfortable living outdoors experience. An outdoor living fabulously experience. This entry was posted in Connecticut's premier outdoor living designer, outdoor kitchen, outdoor kitchen design, Outdoor kitchen design ideas, Outdoor Kitchen Design plans, outdoor kitchen designer, Outdoor Kitchen Designer .com, Outdoor Kitchen Designer Michael Gotowala Preferred Properties, outdoor kitchen images, outdoor kitchen island, outdoor kitchens, Preferred Properties Landscaping, Preferred Properties Landscaping and MAsonry, THE OUTDOOR KITCHEN DESIGN STORE, THE OUTDOOR KITCHEN DESIGN STORE by Preferred Properties and tagged outdoor kitchen, outdoor kitchen design ideas, outdoor kitchen designer, outdoor kitchens, Outdoor kitchens Ct, outdoorkitchendesigner.com, THE OUTDOOR KITCHEN DESIGN STORE by Preferred Properties. Bookmark the permalink.